Stand-Up Paddle Surfing, also abbreviated as SUP, is rapidly growing global sport originating from Hawaii. It is traced back to the 1940’s in Tahiti. Stand-up paddle surfing is a mix between—you guessed it—surfing and paddling. Back in the day, Waikiki beach boys stood on their longboards while navigating with outrigger paddles, taking pictures of tourists on shore, and the sport of stand-up paddle (SUP) was born. 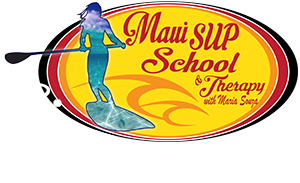 Now referred to as Ku Hoe He’e Nalu on the Hawaiian islands, the sport is quickly gaining popularity all over the world because of its graceful simplicity and quick learning curve. 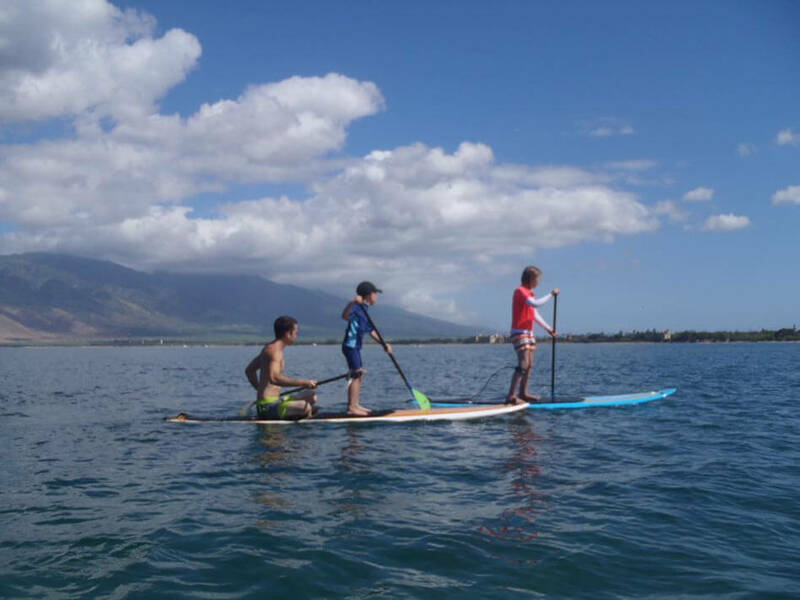 Stand Up Paddle, (SUP), is an emerging global sport with a Hawaiian heritage. It can be traced back to the early days of Polynesia. The sport is ancient form of surfing and began as a way for surfing instructors to manage their large groups of learner surfers as standing on the board gave them a higher view point increasing visibility of what was going on around them such as incomming swell. To begin with, this started with using a one bladed paddle standing on a normal length surfboard. This evolved to standing on longer surf boards and paddling with modified paddles in the 1940s and 1950s. Most new custom SUP board prices range from $900 to $1500 new, and most consist of composite epoxy construction. The boards are generally longer than 10 feet and up to 12 feet in length with features such as padded decks, concave hulls, and generally have 1 or 3 surfboard style fins in the stern for stability. To learn paddle surfing you’ll need a board—and SUP boards are big, averaging between nine and 11 feet long. An instructor can fit you with the proper size according to your height and weight. Boards with a soft deck are ideal for beginners and those who don’t want to bother with the tedious chore of waxing. Paddles tend to be six to nine inches taller than the paddler’s height, and the more lightweight and easy-to-handle the paddle, the farther you’ll travel using the least amount of umph. In regular surfing, you catch a wave and attempt to hop up on the board while on the wave. Not so with SUP. Because the goal is simply to stand on the board and propel yourself forward using your paddle, flat water is a fine playing field for SUPers and there’s no pressure to catch a wave. Most people are up and paddling on flat water after just 30 minutes. But, as with any type of water sport, before you attempt to go it alone, be aware of your swimming ability. If you’re not sure, always wear a life jacket in case you fall.